How do you engage with a museum of you are also a museum? This is the question that animates Museum of Me, a participatory performance and guided visualization that enhances awareness in museum visitors. Leaving (initiated 2015) is a participatory project that investigates how we act upon and distribute objects, as well as how objects act upon us as agents in narratives of desire, loss and frustration. The project consists of the design and fabrication of garments that are meant to be left in stores among the other items for sale. StoryHut (2014) is an architectonic work that combines painting, sound, lighting and snacks. 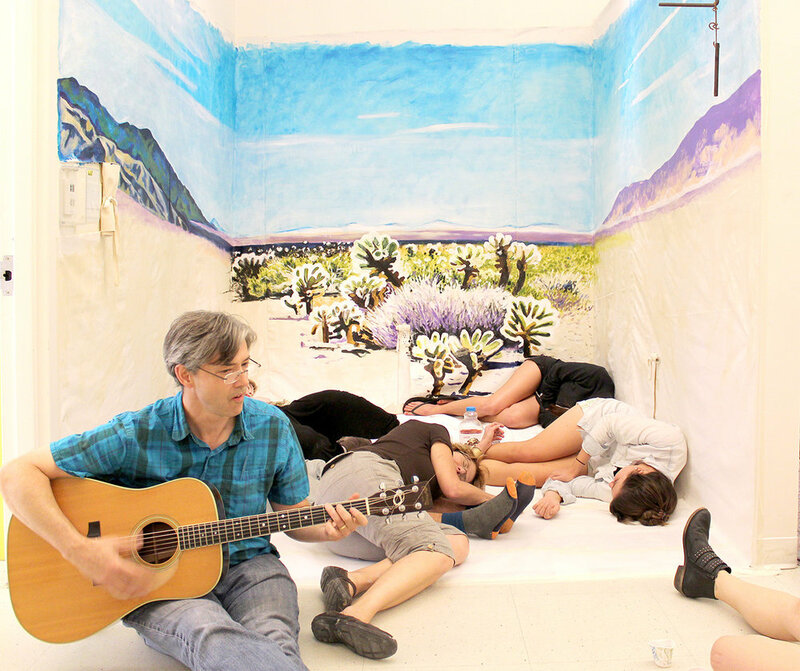 Participants enter the StoryHut and listen to the story of how Coyote convinced Rattlesnake to go in the house: a fairytale about aspiration, exploitation, and ambiguous outcomes. Mutiny on the Bounty (Initiated 2016) is a body of work inspired by the historical events and ongoing cultural resonance of the The mutiny on the Royal Navy vessel HMS Bounty that occurred in the south Pacific in 1789. This project investigates the breadfruit tree as a vector of Colonial expansion from the South Pacific to the Caribbean, as well as the concept of "bounty" and it’s relationship to the excesses of hyper consumption in the Anthropocene. Goldlugger™ tote bags (2013) are “cut from the very cloth of Walliecamp”, a primed cotton canvas that references the white canvas tent settlements of the California Gold Rush. 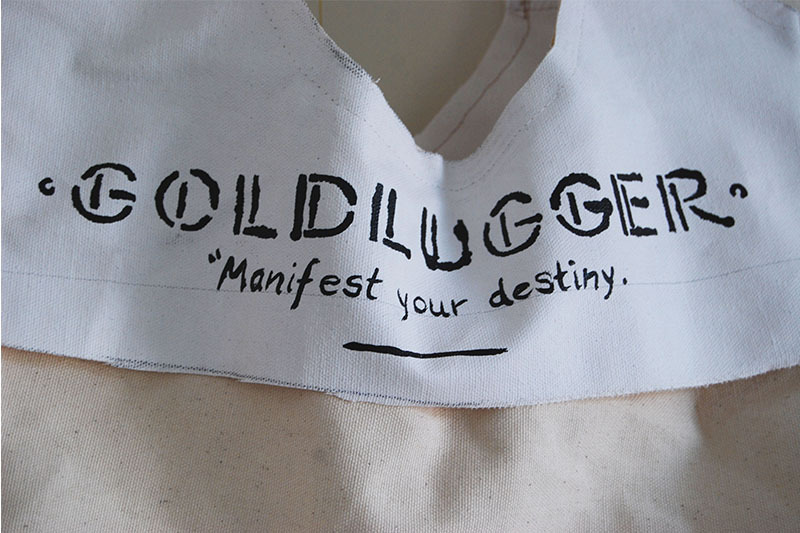 Each Goldlugger is stenciled with the Goldlugger brand and inscribed with an original phrase that refers to the conflation of happiness, spiritual wellbeing and moneymaking in late capitalist America. Glamping in the Afterglow (of Civilization / Nature) (2017) is an experiential installation and a meditation on the afterlife of the concept of nature. These large drawings of single-family homes are rendered in india ink on transparent silk organza. I choose silks in light, beigey pastels as the ground for these images, referencing popular stucco and siding shades of California subdivisions near the turn of the millennium.